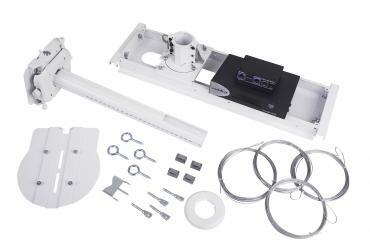 QuickCAT is a universal ceiling camera mount that is compatible with most invertible PTZ cameras and fixed cameras. 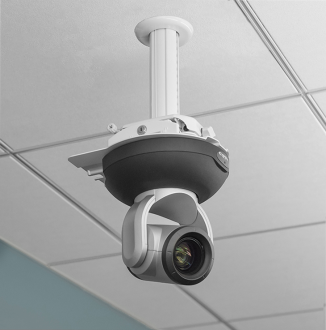 This ceiling mounting solution is designed for suspended ceilings and is compatible with 2x2’, 2x4', 60x60 cm, and 62.5x62.5 cm ceiling grids – and works even with irregular grids. In addition, its Q-Lock Quick Release Lever provides quick connect/disconnect of the camera. 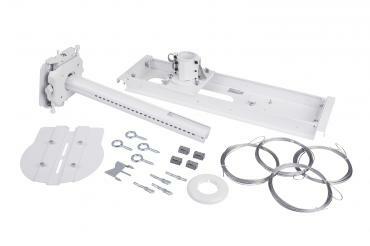 Its integrated key and lock system offers greater security. QuickCAT packages are also available with a Vaddio OneLINK extension system which lets you extend power, video and control up to 100 m (328 ft) over a single Cat-5e/6 cable. Packages are available for select Vaddio, Sony, Panasonic and Cisco camera models.